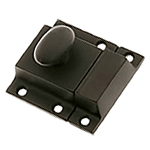 At Kennedy Hardware, our selection of antique reproduction cabinet latches includes dozens of design and material combinations in turn, slide, and Hoosier styles. 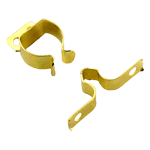 We stock stamped latches, cast latches (in brass and cast iron), and we have nearly three dozen varieties of Hoosier cabinet latches. 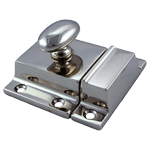 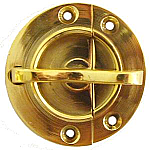 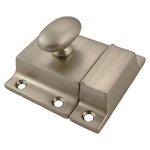 Whether you need an ornate or simple design in bright or brushed finish, our spring-loaded cast latches are available in brass, bronze, or nickel. 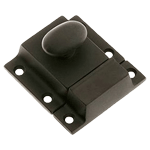 And our stamped and plated steel cabinet latches are an affordable way to get an authentic, slightly distressed look. 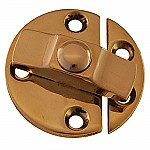 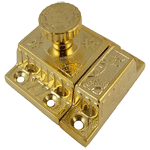 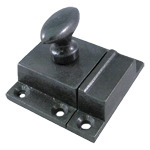 We stock ice box latches, too, and we carry cast iron cupboard and cabinet latches with authentic antique-style knobs. 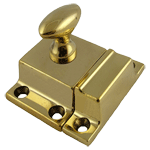 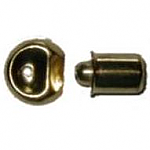 And when it comes to Hoosier cabinet latches and related hardware, you'd be hard pressed to find a larger and more period-appropriate selection of reproduction cabinet accessories, including ring, "H" motif and bullet catches in various finishes. 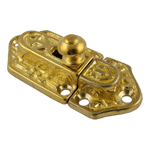 Whatever you need to make your restoration cabinet, cupboard or box as authentic looking as possible, chances are we've got it – and we've got it in stock!